Today Patricia, our new contributing writer, talks about the dilemma of picking a perfume for vacation and why she decided to make her latest vacation a rose scented one. Patricia graduated from her mother’s perfume table to her very own bottle of Miss Dior as a young teen. 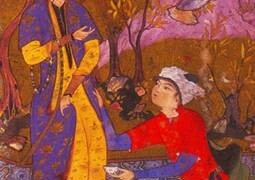 This discovery started a lifelong love of perfume in general and green mossy fragrances in particular. After 30-plus years in the publishing industry, she works as an office manager in Boston, Massachusetts. Besides perfume, she loves long novels and spending time with her horse. Please give her a warm welcome! 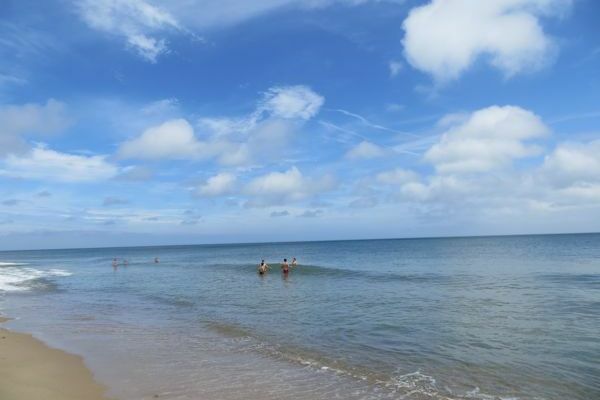 In Massachusetts we have a saying, “If you don’t like the weather, just wait a minute,” so I wasn’t unduly concerned when the first few days of our summer vacation were cloudy and rainy. Still, the beachy fragrances such as Estée Lauder’s Bronze Goddess and Bobbi Brown’s Beach that I’d packed in my suitcase seemed to mock me, and even my favorite summer citruses didn’t satisfy me. Fortunately my packing style has always been of the “everything but the kitchen sink” variety, so I had brought plenty of sample vials and small decants, including many roses, many of which I had not yet tried. But it turned out that variety was not what I wanted. What I craved were roses, and lots of them. Even after the sun came out on the third day, the roses and I were on a roll. Rose perfumes turned out to be unexpectedly versatile: the heavier, darker blends suited the foggy and rainy days, while the crisp, bright ones were perfect companions for sunny beach outings. Here are six that I enjoyed on my vacation. Atelier Cologne Rose Anonyme is a dry unisex rose, great for daytime, which I wore while gallery shopping on one of the first grey days of my week. It was a pleasurable companion, non-obtrusive and fresh, great for daytime, but requiring frequent reapplication if you’re after a statement making perfume. Le Labo Rose 31 is often considered masculine and not much of a rose at all, but I love the combination of coconut, cedarwood and amber that makes it a cozy choice. Its musky warmth was just perfect for the first few foggy days when the beach was out of the question but a long hike ideal. Les Parfums de Rosine Un Zest de Rose is a fresh rose with plenty of lemon zest and green buds. It held up to a stroll on the beach and was noticeable on my wrists several hours later. It reminded me of another summer favorite, Tocca’s Bianca, which is my idea of rose lemonade. Serge Lutens La Fille de Berlin is a true dirty rose. Even at the end of the day, I could still smell it on my skin. Wearing it is like lying on the damp earth of a rose bed on a still, warm night in mid-June. I wore it morning and evening and concluded that I must have a full bottle. A show-stopper of a perfume, Frédéric Malle’s Une Rose is a full, intense crimson rose with just enough green leaves and dirt to keep me happy. I reserved it primarily for cool evenings, and I loved how it clung to my skin for hours. James Heeley Hippie Rose could just as easily have been called “Happy Rose.” Its bright and cheerful opening of peppery bergamot is followed by patchouli and rose. The drydown is a pleasant mix of vetiver, musk, and incense. A perfect sunny day perfume. What perfumes do you take on vacation, or do you take a vacation from perfume? Elizabeth: Thank you for a lovely article, Patricia! I look forward to reading more from you. Cornelia Blimber: Hi Patricia! Great list. There are so many roses, it’s not easy to make a choice. I love your description of La Fille de Berlin, very evocative. I don’t take perfume on vacation anymore since I took Versace Blonde to Rome. Italian perfume for Italy was the idea. The Romans opened the windows of bus 64 in a demonstrative way. I first explore the atmosphere now and buy some perfume on the spot. From time to time i give my nose a vacation. He deserves a rest now and then, he serves me so well! Austenfan: It’s wonderful to have a new contributor to Bois de Jasmin. I hope to read a lot more from you! I own quite a few rose-centered fragrances although I wear them less than I used to. From your list I am familiar with Un Zest and the Lutens. When I bought my Ecume de Rose it was a toss between that one and Un Zest. I have no regrets as Ecume is now discontinued and I believe un Zest to be still in production. When I go on holiday I bring a few small bottles of my favourite Nicolaïs ( Mostly Eau d’Eté and New York) and I often bring my old bottle of Bvlgari Pour Femme. Apart from that I travel with a huge collection of samples. Patricia: Thank you for your nice welcome, Austenfan. I’m very pleased to be part of the BdJ team! Caroline: Glad to hear you appreciate green, mossy scents–one of my favorite genres as well. Not too familiar with rose-centric perfumes, but now I’m motivated to try my sample of Une Rose, and seek out a vial of Un Zest de Rose. I think I’d rather be taking vacation from perfume this year. In two weeks I’m going with my family to Hungary for 10 days. We’re going to Balaton, there’ll be a lot of swimming, perfume is not necessary there! I love roses and am happy to see my beloved Rose Anonyme on the list. I wore it on some hot days and I was surprised how long-lasting it was in the heat. I didn’t have to re-apply it. Aisha: Hi Patricia! I’m new to this blog (been reading it only for a couple of weeks now). This is also the first time I’m commenting. I usually don’t pack any perfume with me because I always get some while on vacation when visiting my parents in Hawaii. And I usually get it free. My mom always has a ton of fragrance samples from department stores. She’s allergic to most perfumes so she collects the samples for me and gives them to me. That’s how my collection of Chanel and Dior has grown over the years. I also enjoy the smell of suntan lotion, so that’s basically the fragrance I wear. How lucky you are, first to have parents who live in Hawaii, and second to have a mother who collects perfume samples for you! mough: Hi Patricia! I too love horses, and just in a half hour or so, will go get on Silvio, my new dapple grey, and move some steers and bulls and calves, an odd mix, to their very green pasture. I spent the evening last night copying the “bull call” and getting the bull very confused. Threw dirt over his back at me. I was just in my underwear and a shirt. One of those nights…The image confused him. I SOUNDED like a bull calling out, but I looked like a half naked menopausal woman. Great fun. Eva S.: Hi Patricia and mough! I´ve been chasing bulls, moving cattle and docking sheep in Wyomimng for three weeks (on horseback). Loved it, love Wyoming, but my perfumes from back home (Sweden) did not work as they use to in the dry climate. As for roses, I loved your article, and especially the photo, so wonderful! Patricia: Hi Eva, Riding for three weeks in Wyoming sounds great. I’ve always been tempted to do the dude ranch western riding thing. It must be pretty thrilling to be able to move cattle and dock sheep. Horses are such wonderful creatures, and most of them have a very strong work ethic and enjoy their jobs. Ariadne: Lovely to read your post Patricia and to share your love of rose perfumes! Casual Friday today at work. I have on Juliette Has a Gun Lady Vengeance, maybe a bit of a “hippie rose” too and thus goes with jeans. Lizzy: Welcome, Patricia! I enjoyed reading your week-long exploration of rose scents (one of my favorite notes! ); Hippie Rose sounds like a must-try for me. Patricia: Thank you, Lizzy! What a good idea to pack old friends in addition to decants and samples that you want to try. Sometimes we just need perfume to be a familiar background scent. Patricia: Thanks, NeenaJ! The shells were on a picnic bench in the back yard of our rental house. I added my beach glass necklace and snapped away. Patricia: Thank you so much, Snowyowl. I like your comment about seeing a perfume with new eyes in a different environment. Anne of Green Gables: Yes, it looks like that it wasn’t so well received among serious perfumistas and I can understand why – as you said, it doesn’t have enough depth and it’s nothing groundbreaking. Austenfan: First in Fragrance has an excellent sample service but in this case it would be cheaper to get the samples from Rosine themselves, if you would wish to sample more than 4 or 5 of their fragrances, that is. These are the ones I found, that you yourself probably found as well. OperaFan: Welcome, Patricia! As a rose lover, I can’t imagine a better introduction to your writing! I like the Malle and Rosine very much and must try Rose 31. Like you, I always pack a good variety of fragrances when I travel. Even my everyday handbag contains a pouch of selections. There are exceptions – I Never wear fragrances in a national park, and I don’t wear them on the beach. Maybe beaches in Mass are different from Jersey, but If I were to wear anything but dry woods and incense on the beach in NJ when it’s not windy, I’d be eaten alive by flies! Patricia: Ah, Rose 31, the non-rose Rose fragrance! Do try it, if only because it is so different. My handbag needs to be cleaned out every so often because the samples and decants multiply like rabbits. I put perfume on in the morning, then pop the decant in my purse. Repeat seven times and it’s time to purge! Welcome! 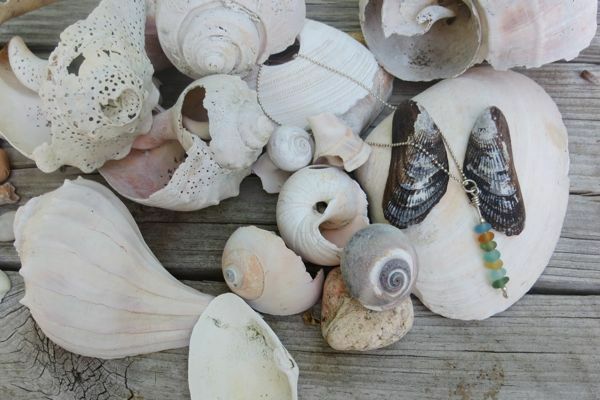 Thank you for yur article and the pretty photos, especially the shell one! Thank you for reminding us of roses! I was just admiring my mini roses outside and when I came in sprayed some Annick Goutal Grand Amour which I received yesterday. The first sniff is roses to me, cool roses like sterling silver lilac roses with their mossy scent. Your choice of YSL’s Paris is an amazing, breathtaking rose perfume softening to a powdery halo. Nice to read a collection of roses. I too, love roses, and especially in the summer. I too, also lived in Bosten for a good many years and observed the changing weather. These days I wear Keiko Meicheri’s Attar of Roses,which I discovered from a sample on Luckyscent. It is soft and very subtle. I wore it to a meditation gathering and a woman next to me asked me what I was wearing. She complained about the overwhelming nature of most modern perfumes but complimented me on the beauty of this understated rose/incense scent. I intend to try more Meicherei fragrances soon. Sandra: My favorite rose scent is Shanti Shanti by Miller et Bertaux. I’m heavily into roses at present , FM’s lipstick rose and Une Rose have put me into a spin, your description of Une rose is perfect , the sillage and longevity is amazing. I’ve just sent of for Le Labo Rose 31 and am thinking about Serge Lutens Rose de Nuit, at this rate I’ll be smelling great but surviving on fluids. Patricia: Hi Dina…and thanks! I’ve found that I prefer the EDP of Cristalle to the EDT, although I have both. The EDP is such a nice skin scent, I think. 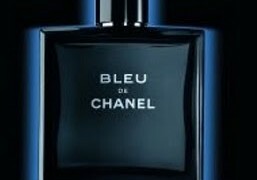 I have a small department store sample of the Eau Verte and I like it, but I agree with you that the original is better. rainboweyes: Welcome, Patricia and thanks for the lovely article. I love the smell of real roses but for some reason I cannot stand it in perfume. Actually, there is only one rose-focused scent I own – Perles de Lalique and a few more which I wear occasionally: Parfums del Rae Coup de Foudre, Byredo Rose Noir and Diptyque Ombre Dans l’Eau. By the way, I love to try scents in a new environment, especially in a different climate. I don’t care much for jasmine scents at home (Germany) but love them in the heat of Southern Europe where I mostly spend my vacation. Patricia: I own Coup de Foudre and love it. I didn’t include it in my article since I was examining roses new to me. I know what you mean about roses, though. They can be problematic. Mohur and Lyric are also favorites of mine. I hope to someday own bottles of each. Patricia: Hi Karen, I haven’t tried ELDO’s Rossy de Palma, although I like quite a few others in the line. Another one for the sample list. Eastofeden: When I want rose…I want rose. My favorite is Evelyn Rose by Crabtree & Evelyn (The original formulation…the new version smells peachy in a juvenile way. It is not bad..but not the scent I love and crave). There is also a oil of rose that I buy from a fragrance vendor at a local renaissance faire that I love too. Both these scents are simply rose in no holds barred bold flamboyant single note way. I find the simplicity sophisticated. Portia: How exciting for you to be a part of and welcome to Bois de Jasmin. I enjoyed your post immensely and now shall go search out Hippy Rose, which I haven’t yet tried. Patricia: Hi Andy, Thanks for your nice welcome! PW Tea Rose is one I do not like on skin, but I use it as you do, as an air freshener and in the bath. Nothing can replace the scent of a rose in the garden. Sadly, roses from the florist have been bred for looks only and have no scent at all. Have you read Flower Confidential by Amy Stewart? It’s an excellent look at the flower industry, and I highly recommend it to anyone interested in flowers. Emma M: Hello Patricia, a week of roses sounds heavenly; I read your article with delight and now I must seek out Rose 31 and Rose Anonyme. Patricia: Hi Emma & thank you! Alas, I am not familiar with REN’s rose otto bath and body range. Patricia: Hi ferris, There is certainly something to be said for traveling with fragrances you know will be right for any occasion. stina: Thanks for your lovely post, Patricia – I’m looking forward to many more! I’ve been exploring rose fragrances on and off for the last few months, and have sampled quite a few of the ones mentioned here. I hadn’t heard of Hippie Rose; it’s been added to the top of my pile of sample lemmings. An inexpensive rose perfume that would be great for travel is Pacifica Persian Rose solid perfume; it’s a simple, lovely, lemony rose with good tenacity (and it’s inexpensive – $9 for a 1/3 oz tin). Be sure to get the *solid* perfume and not the spray! The spray version has an odd chemical-synthetic note that’s really off-putting. stina: Another excellent solid perfume is Jazmina from Providence Perfume Company. It’s a gorgeous jasmine with touches of tea and grassy hay, and it has excellent tenacity and sillage. It costs $40 for a sturdy 1/2-ounce glass container; I’ll be taking it on my next business trip (if I don’t use it up first!). Patricia: Thank you, Maja. Un Zest is a wonderful fresh green rose and a good one to sample to fill that category. Isabeau: Welcome Patricia, lovely post!! My favourites are Byredo Rose Noir, Roses Musk and Roses Elixer by Montale and the beautiful Rose Barbare by Guerlain! Also like Rose Baie by Le labo. ralu: Lovely post, Patricia! I also live in New England, Boston to be exact.